Aman Canal Grande in Venice, Italy. 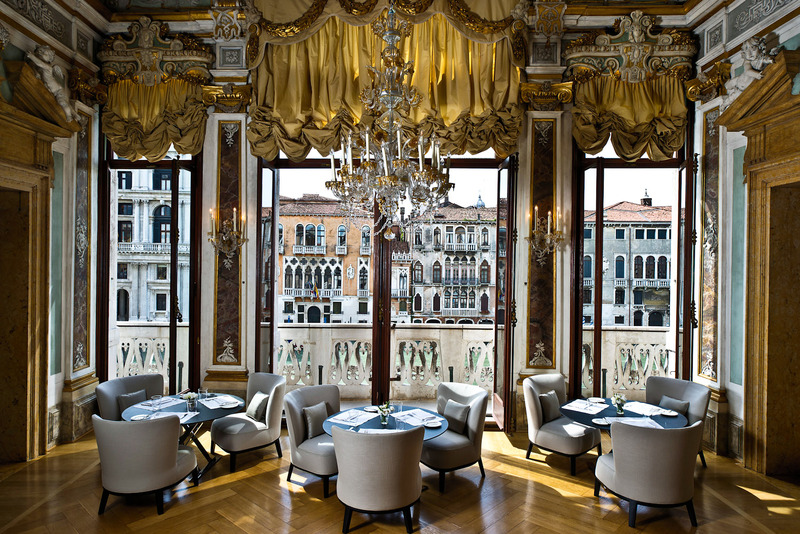 Aman Canal Grande, Venice, Italy ranked #77 in our countdown of the 100 Best Hotels and Resorts in the World. The hotel’s building – the 16th-century Palazzo Papadopoli on Venice’s legendary Grand Canal – is a break from Aman’s usually spare aesthetic, yet it’s a masterly break. It’s sumptuously Venetian, a regal home that is rich with history and romance. Sweeping staircases, original frescoes (including by the great 18th-century master Tiepolo), antique Murano glass chandeliers, heirloom paintings, and Rubelli silk-covered walls are complemented by minimal modern Italian furniture. And, of course, the staggeringly beautiful canal views. The restaurants serve up Italian and Asian cuisines, there’s an intimate rooftop terrace and bar – but most impressively there’s a private garden, which is a rare privilege in Venice. Did you know While the gondola, and therefore gondoliers, have been in Venice from at least 1094, it was only in 2010 that a female passed the strict exams and was granted a gondolier licence.